This is a test...beep.... had this been a real web site the beep would have been followed by info about you. hehehe Couldn't resist. Any hoo. I found this angel cursor I just knew you'd love. 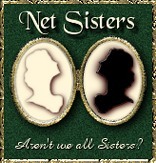 ^_^ We need to get you up on the netsisters webring, you have to do it yourself then send me your ID#. The name Sister Angel is already being used by one of the Diamond sisters so you might want to pick a new name like Sister Angel D. We also need to upload this page onto one of the free servers like tripod, geocities, angelfire ect... which ever you would perfer. If you don't already have an account I can set it up for you. ^_^ Email me okay. We can put more of your links n'stuff here. Your Name Here is a Net Sister.